Back to School for Military Kids! For military parents who've lived in the same location for a year or two, “back to school” is a phrase akin to, “You’ve won the lottery!” as evidenced by many viral posts of moms and dads literally jumping for joy on the morning of their child’s first day back. 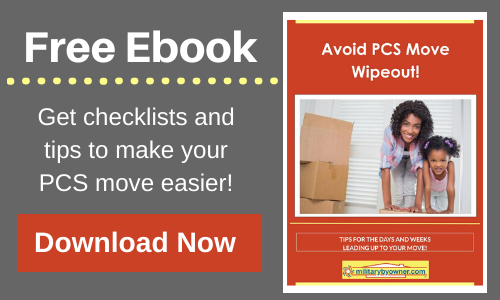 For the military parents who are sending their kids to the most recent new school, there’s a little bit of the lottery feeling because it’s been a LONG PCS SUMMER, but added in is a mix of guilt and worry because their little one is the new kid, yet again. Milkids going back to school are split into two categories, too. The kids whose turn hasn’t come up yet to move have a confident, I’ve got this feeling and are excited (even if they say they’re not) to go back to the familiar halls, playgrounds, and music rooms. Many of the new military kids headed to unfamiliar classrooms are nervous, probably intimidated, and maybe a little eager. That’s quite a bit of diverse emotions for one kid to handle. How can parents help? Here are a few resources and a reminder list to help make this your best "back to school" ever! The ultimate place to begin searching for support--specifically, the Military and Family Life Counseling Program. This easy access FREE program offers therapeutic care for many types of stresses, including guidance for students. Counselors are specifically trained to proivide support to military children and the challenges they face, including relationships with families and teachers, moving, living with a deployed parent, and more. Connect with a local counselor through Military OneSource's website. The Military Child Education Coalition provides parents of students of all ages an in-depth understanding of the educational opportunities that are available for military kids, particularly those affected by the normal but disruptive separations and transitions of military life. Check out their extensive resources, including webinars, student to student, and parent to parent training. Understanding and utilizing the Interstate Compact on Educational Opportunity for Military Children (MIC3) is crucial for any parent who struggles with the appropriate placement for their children regarding issues such as enrollment, attendance, eligibility, and graduation. Although all 50 states have signed on, their level of participation varies throughout the country. Located on military installations, the Youth Sponsorship Programs offer a buddy system to match new kids moving into the area with children who already reside near them. The YSP encourages families to proactively meet and form friendships, hopefully before school starts. Available to help remove any obstacles that may inhibit a military student’s transition, the School Liaison Officer ("SLO") is the main contact for school principals and administrators for parents with questions. The SLO is also responsible for supplying the community at large with information about the needs of military students. With these resources in mind, here's a last-minute checklist of new school year "musts"! Adjust sleep schedules for early morning wake-up times. Buy uniform or dress code approved school clothes. Assemble dental/medical exam paper work. Bake goodies ahead and freeze for lunch and breakfast. Choose a way to volunteer: PTA, tutoring, class parent, library duty. Meet up with any military affiliated group your school hosts. Attend Back-to-School Night, Open House, and new student orientations. Gather school supplies and buy a few extra to donate. Back to school is hard on everyone, even for the lottery parents. New routines must be established, homework begins, and extracurriculars start. 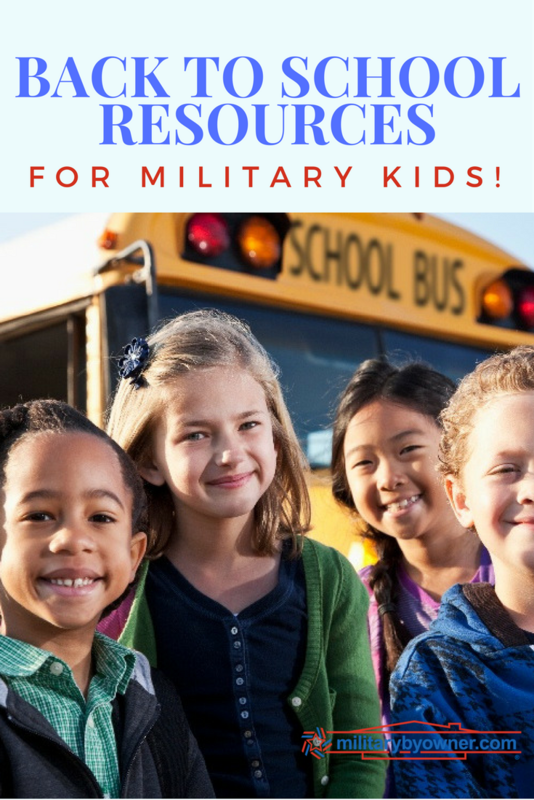 Using resources designed to make military transitions easier will start the school year off right.